His eminence with Wong discussed bilateral relations and ways to develop them. His eminence stressed the importance of enhancing economic cooperation and contribution of sober Korean companies in regards to reconstruction of Iraq and expanding the volume of investment, in addition to benefit from and transferring the experience of Korean judicial system in combating corruption, reiterated the importance of continuing Korean support, especially that Iraq is on the verge of forming a new government seeking service provision and ending unemployment and corruption plus promoting of the economic sector. 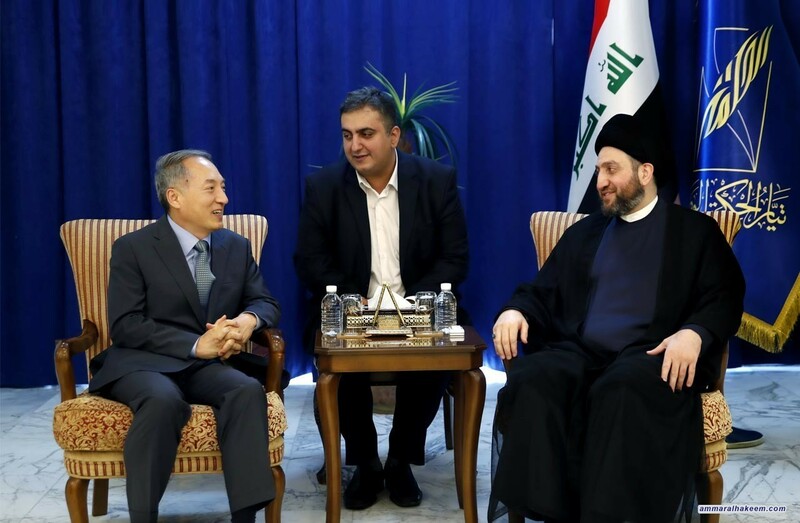 The Korean Ambassador Song Wong reiterated his country's support for Iraq in the process of reconstruction and construction, especially after the achieved security stability and defeating terrorist groups of Daesh, and pointed out intentions to increase volume of investments and urging sober Korean companies to operate in Iraq and participate in reconstruction projects.